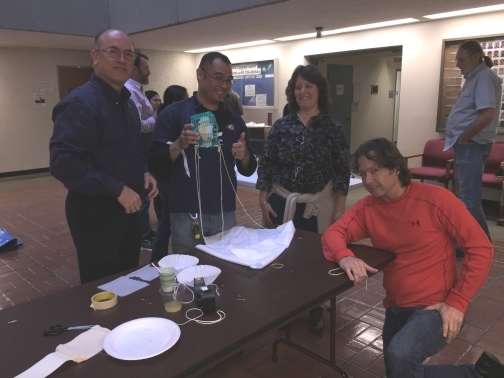 The UC Davis Staff Assembly promoted Monday, February 29, 2016, as a day for us all to "Reimagine Our Work", a day to take a deep breath, step back from the hustle and bustle of our work days and think about what we're doing and how we're doing it. 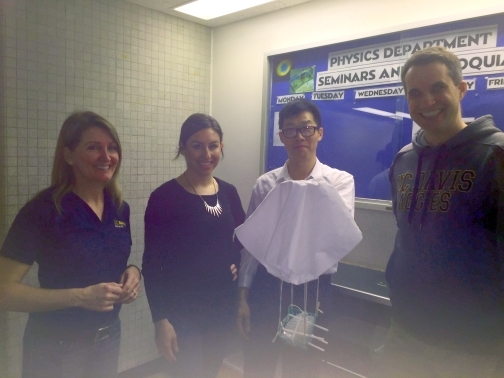 Physics staff decided to start the day with a team-building activity that incorporated physics and fun - an Egg Drop. 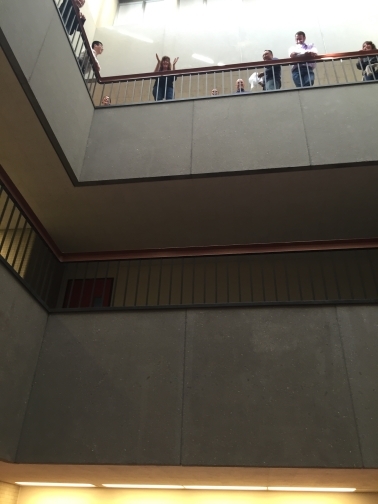 Four teams participated and four eggs survived the drop from the third floor atrium balcony. 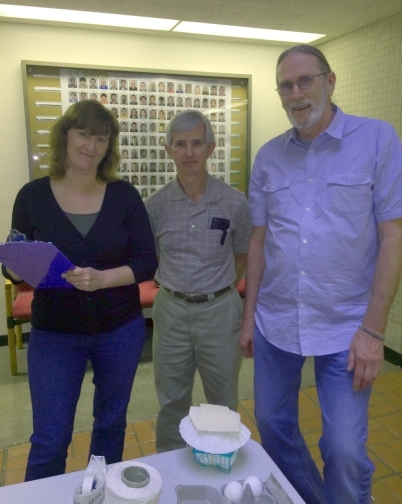 This should come as no surprise since we are, after all, employees in the UC Davis Physics Department! 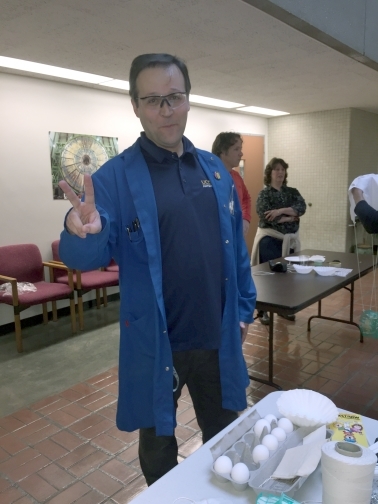 Supplies were provided by our Egg Drop Administrator, Matthew Smith, pictured here. 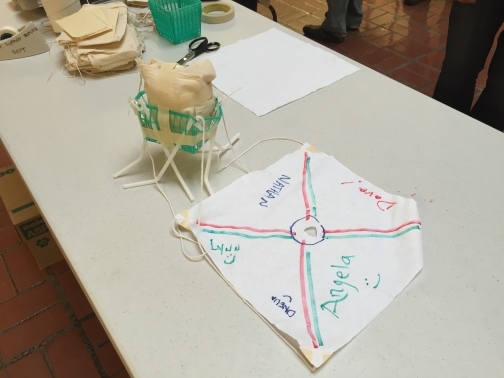 Team 4 took the two top prizes of the day, with a win for teamwork and also for the best design. Each prize was a $50 gift certificate to Crepeville/Burgers & Brew for a team lunch. 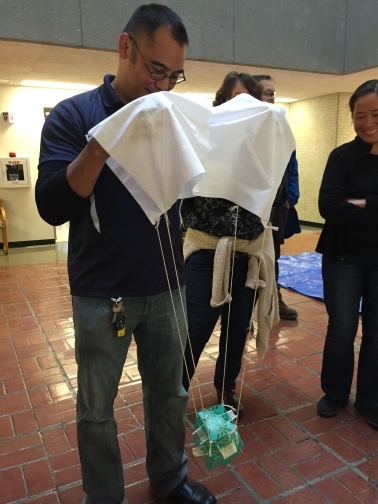 Each member of a team with a surviving egg received an individual prize: a highly coveted Star Wars reusable bag, a toy, UC Davis lanyard, snacks, and a gift card to Jamba Juice. Yes, every participant was a winner! 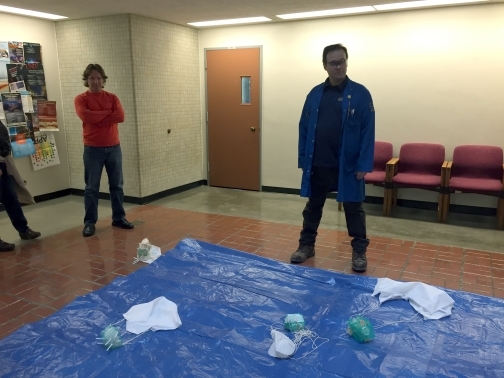 Check out the video of each team's Egg Drop below! 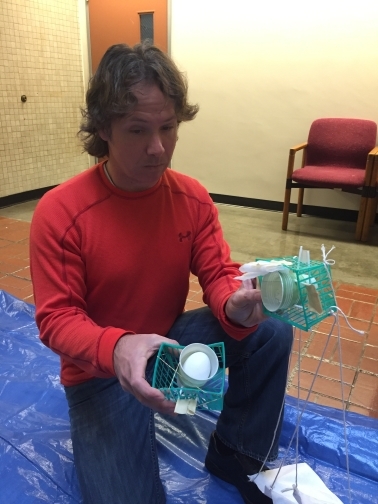 Each one had a unique design (some of which pushed the definition of the "Drop" in "Egg Drop"), but all eggs survived!